Farro is a healthy alternative to rice and has a nutty flavor. 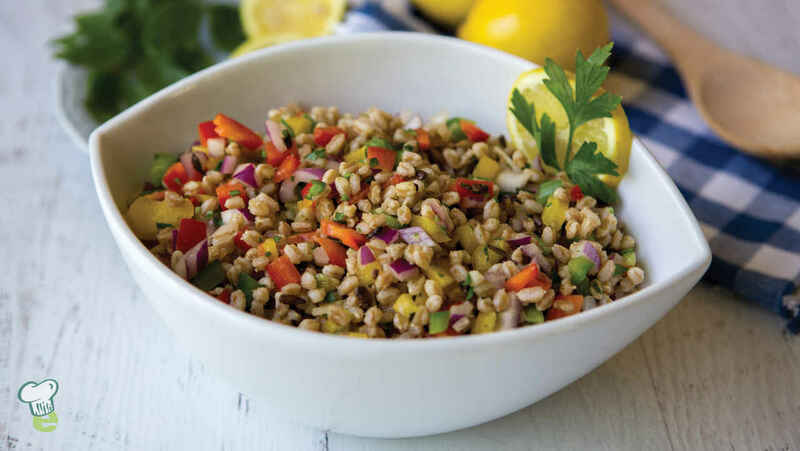 Paired with sweet bell peppers, this healthy recipe for a savory farro side dish complements any chicken, fish or meat dinner. Cook farro according to package directions, substituting water with chicken broth. In a large salad bowl, toss cooked farro, bell peppers and red onion. In a small bowl, whisk garlic, parsley, lemon juice, olive oil, mint and liquid aminos, if using. Pour dressing over the farro mixture and toss to combine. Refrigerate salad, covered with plastic wrap, for at least 1 hour. Serve cold or at room temperature.